Visible crease and 'rough' software mar the experience. In less than two weeks time, you'll be able to walk into an AT&T store and buy a Galaxy Fold for the eye-popping price of $1,980, or $66 a month for the next 30 months. And now we know a little more about what you're going to get for your money—and it's all about that crease. 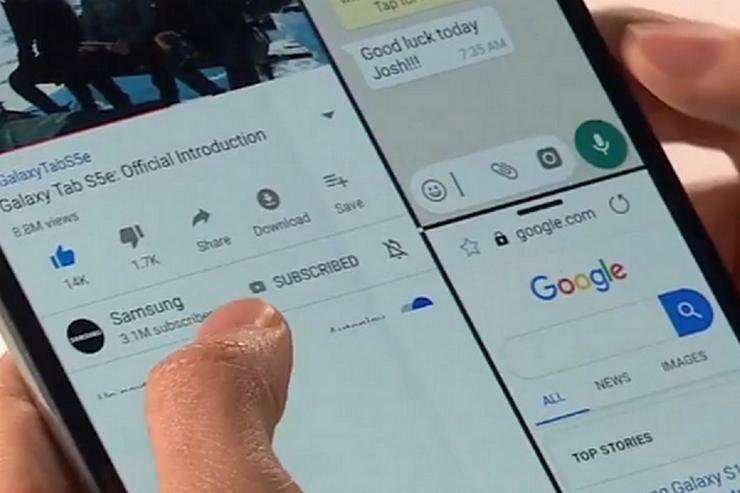 Samsung allowed a small cadre of journalists exclusive access to the Galaxy Fold for an hour last week, and the impressions were fairly unanimous: The Galaxy Fold is certainly cool but not without its flaws. For instance, Geoffrey A. Fowler of The Washington Post said that while he was able to eventually "made peace with the crease" he compared it to the very visible pleat on a pair of polyester pants. Writing for The Verge, Dieter Bohn had a similar experience, saying "you can see the crease from an angle, but it mostly disappears when you are looking at it head-on." However, while he also adjusted to it after a short time, Bohn noted that he could also "feel the crease, which is a little disconcerting." Jessica Dolcourt of CNET agreed, saying she could "feel the hinge mechanism underneath" while pressing down on the screen, but didn't really notice it when "swiping lightly." Design-wise, the Fold is more of a folding tablet than a phone, according to the impressions. At 9.3 ounces, it's quite a bit heavier than most smartphones out there, and with the thickness of two smartphones, it's going to need a roomy pocket to feel comfortable. When closed, it's useable with one hand, and Lauren Goode of Wired was also able to use it with one hand when opened to its full 7.3 inches, though she "probably wouldn't want to for an extended period of time."